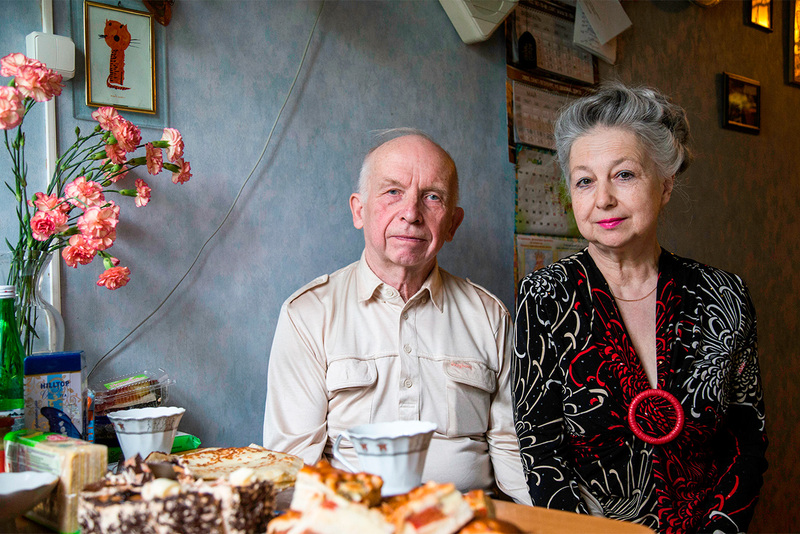 Elena Proshina (61) and Vladislav Nikulenko (69) met in the spring of 1973 on board a suburban train which they both used to take every day to commute to St. Petersburg for study and work reasons. Vladislav kept looking at Elena but was too shy to start talking to her. Elena, a young woman at that time, noticed his gaze and decided to be proactive. After a few months of dating Vladislav proposed to Elena, and she promised him to think about it, but soon afterwards the couple had a quarrel and decided to break up. Next time they met was 20 years later. They got married in secret from their relatives. Already a pensioner, but still looking for true love? Don't despair. 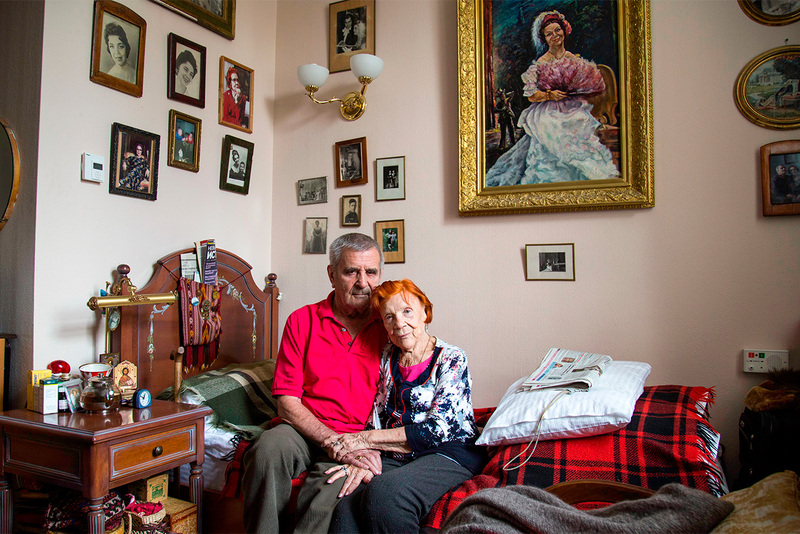 Take a look at these Russian couples who found love in their autumn years. Galina Chunina (75) and Aleksei Gordienko (73) met in 1959 in the Russian Far Eastern city of Blagoveshchensk as students of a geological technical school. In 1960 they moved to different towns, but managed to keep in touch. In 1967 Galina Ivanovna married another guy, which is why they stopped writing letters to each other. 47 years later Galina Ivanovna contacted Aleksei via social media, and he moved from Ukraine to St. Petersburg to marry Galina. // It goes without saying that love between these people truly exists, but this is a type of love without any long-terms plans or expectations, such as having children. 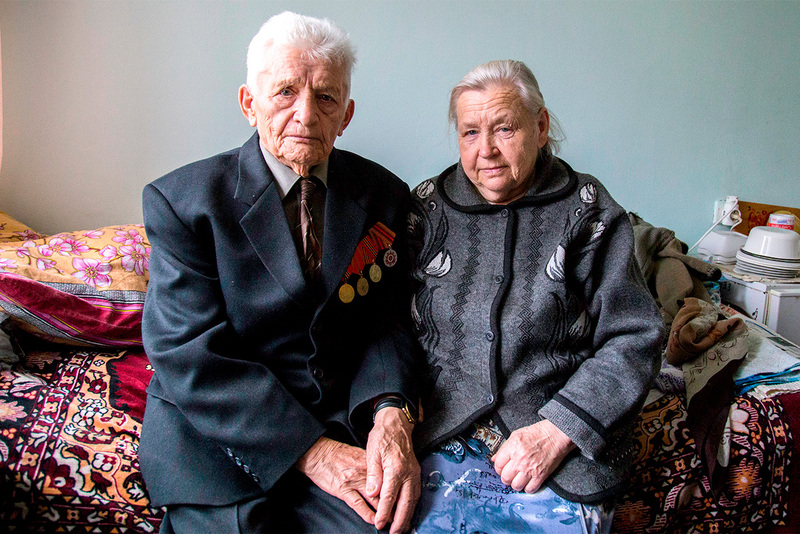 Nikolai Nikolaev (85) and Valentina Dildina (75) met in the private Peter’s Mills retirement home near St. Petersburg. They both are very angry at their relatives for sending them there. Valentina suffers from amnesia, she doesn`t remember her past and can barely walk. Nikolai is very attentive and accompanies her everywhere. “She is very kind and I love her. This opportunity to take care of somebody when you are old and to feel that someone needs you helps me and gives my life a meaning. // Such a relationship is not traditional in Russia, and very often they are judged by society and even their relatives and the children from their former families. 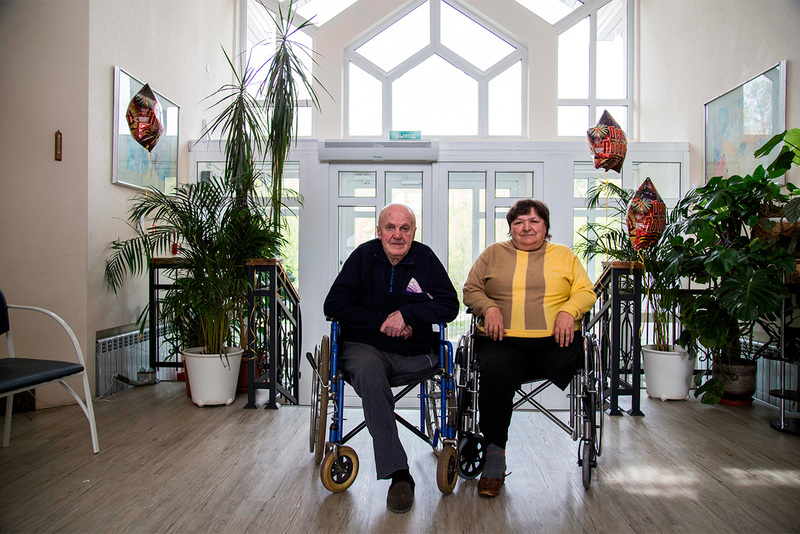 Natalia Alekseeva (66) and Anatoly Alekseev (76) met at a state boarding house for the retired and disabled. This is where they are now living. Natalia has been blind from the age of 3, and Anatoly is visually impaired. 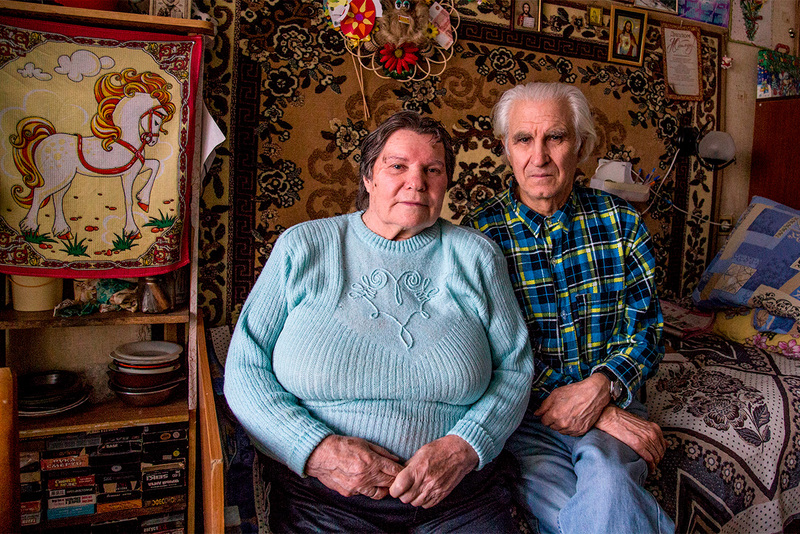 They both were brought to the boarding house against their will: Natalia’s sister had refused to take care of her disabled relative, and Anatoly had been left homeless, plus his son refused to give him money. They used to like to walk together in the nearest park, but now as Natalia is barely able to walk they almost never leave the territory of the boarding house. // Sometimes this judgement is what stops old people from having a new family, despite sociologists saying that relations between couples (including transgender partnerships) cannot be substituted by relations with friends at any stage of life. 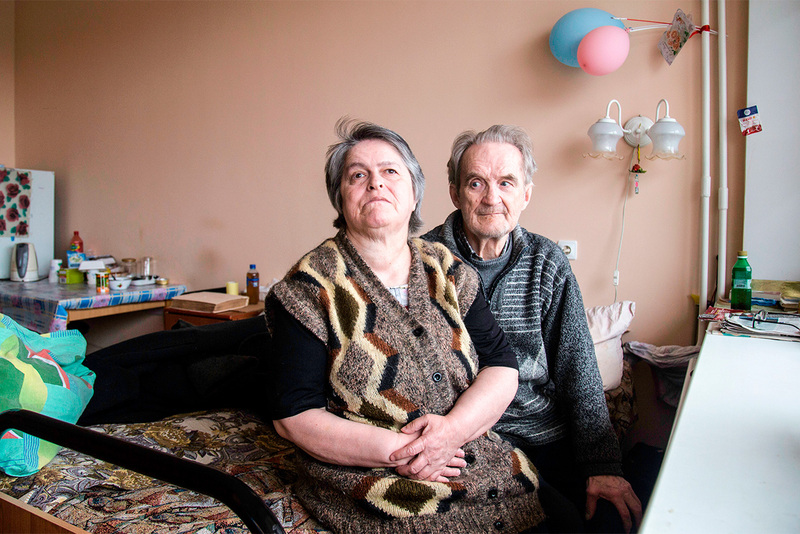 Olga Orlova (63) and Sergey Petrov (65) met at a private home for elderly people. They both moved there voluntarily as they did not want to be a burden for their relatives who had to take care of them. Almost all who come to the home are physically impaired: they are unable to walk or speak. This is why the couple does not have many friends there, but they have a plenty of free time for talking, reading books and playing board games. 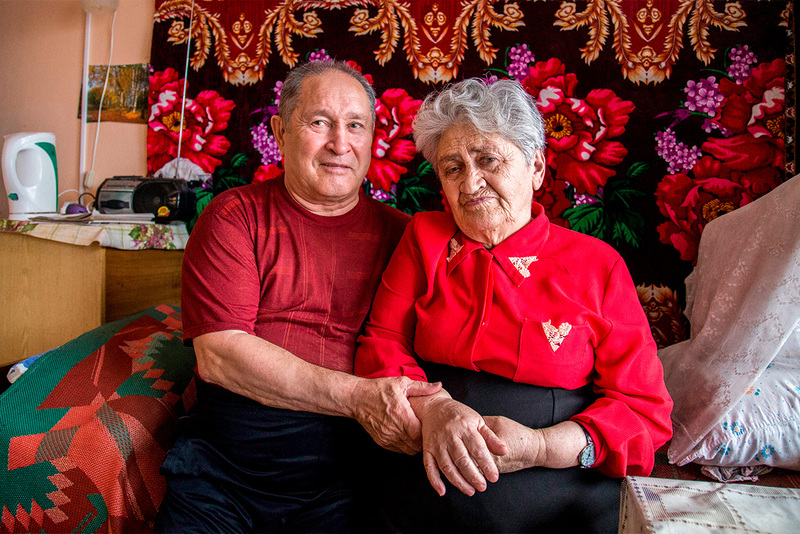 Nina Shumskaya (89) and Valentin Pautov (89) met when they were kids and lived in Turkmenistan but they didn’t communicate at that time. Later Nina became an opera singer, and Valentin became an actor. They met again when they both were 69 and got married. Alexandra Sbitneva (80) and Anatoly Shutov (65) got married 14 years ago. 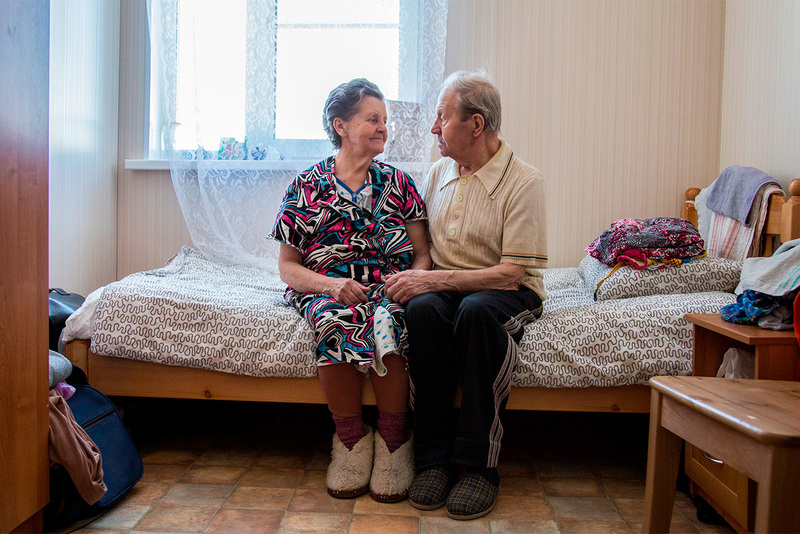 They met at the Vishenki gerontological center in Smolensk, one of the biggest homes for elderly people in Russia. Anatoly is visually-challenged. He had to move to the center after the death of his wife. Alexandra moved to the center after her son’s death. The couple does not have any relatives who can visit them. 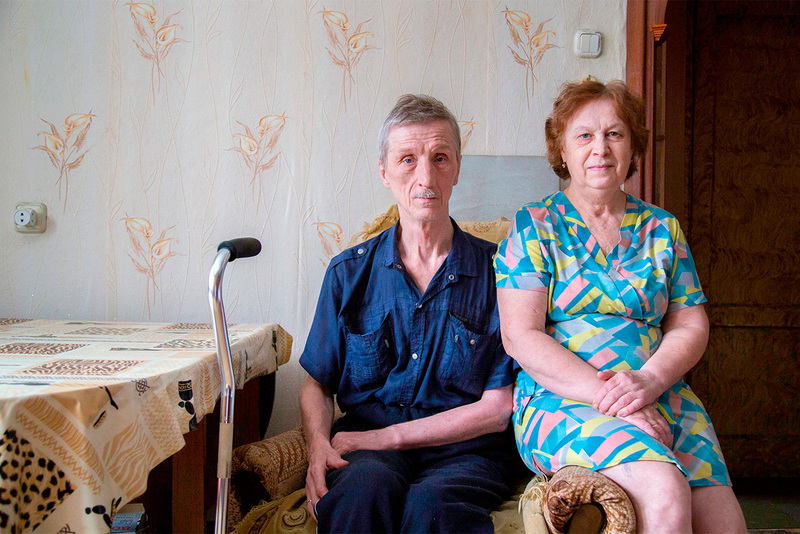 They often take a walk around the gerontological center, but Anatoly says that he has become less interested in walking since losing his sight completely. 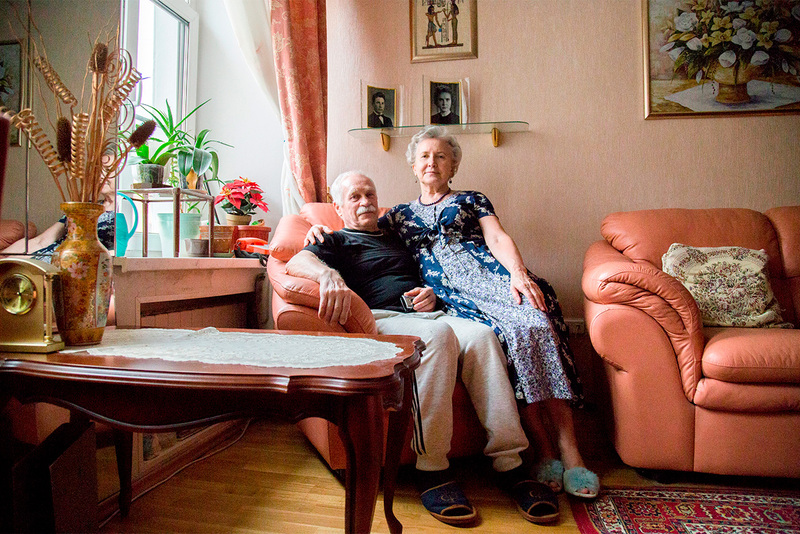 Lubov Barbakova (74) and Aleksei Balahonov (87) met at the Vishenki center, too. Aleksei moved there because he did not want to be a burden for his brother. He also wanted to have an opportunity to communicate with people of his own age. He met Lubov at the center right after she moved there, and a few months later they got married and moved into a separate room together. The supervisors of the center encourage such marriages and allow newlyweds to move into separate rooms. Ekaterina Krivosheeva (80) and Ivan Petrov also met at Vishenki. Ekaterina jokes that she won her husband in a card game. In summer pensioners who live in the home for elderly people love playing card games outdoors. A lot of people make acquaintances there. One day during a card game Ekaterina noticed that Ivan was letting her win on purpose, and that is how their relationship started. After a few months of dating Ivan offered Ekaterina to move in together, but she was in doubt. Ekaterina is physically disabled and did not want to become a burden for Ivan. However, that did not put him off, and soon they started living together. Though Ekaterina has serious problems with her health, she is very optimistic. She sings the leading part in a song ensemble. Ivan supports his woman and takes care of her. Lubov Bravaya (65) and Anatoly Bravy (61) met 20 years ago. They had been working together at a plant. “When I started working here, female colleagues asked me if I had a husband or boyfriend and when I said no, they predicted that I would definitely meet somebody at work. They weren’t mistaken. I met Anatoly, who worked at the plant as a security guard,” says Lubov. After 20 years together, the couple decided to marry officially. It was the first marriage for Lubov and the second time for Anatoly.